The purpose of Haiti Lifeline Ministries is to empower, equip, and encourage the work of Christ in Haiti. Since 1999, we have been following the Lord’s call to serve at the orphanage at Centre Children International Lifeline d’Haiti. The past two years have seen an explosion in interest in the ministry and what God is doing at the compound in Croix-des-Bouquets, Haiti. Because of this interest and God's guiding grace, Haiti Lifeline Ministries has expanded our ministry beyond the walls of the compound into surrounding villages and north into Pignon. We wait with eager anticipation to see how He will lead in the future and are thankful for the opportunity to help enhance the lives of the orphanage children as well as those in the surrounding areas. I handle most things involved with administration and travel planning. Where Emily and the team leaders physically get you there, I do most of the the behind-the-scenes work with ticketing, payments, and bookkeeping, as well as managing the Lifeline Sponsorship Program. 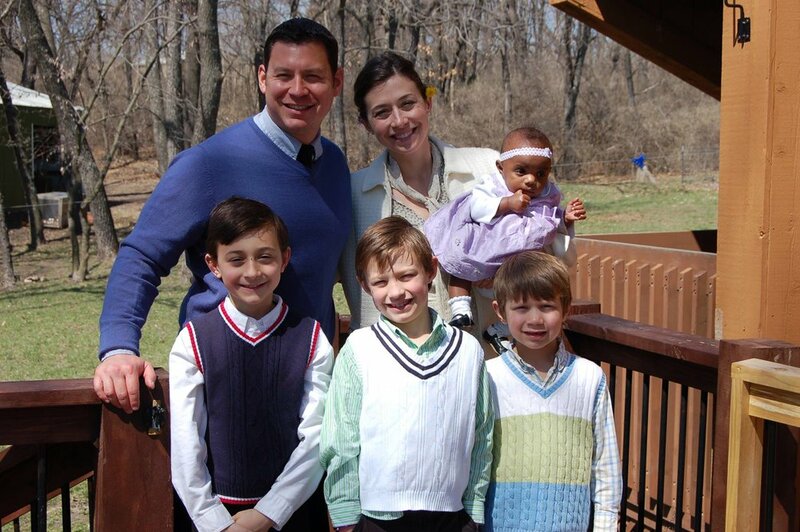 My husband Brian and I have been married for 17 years and we have three boys: Tyler, who is 15, Luke, 10, and Brady, 7. Along with my work at Haiti Lifeline, I substitute teach and am active in my boys' school. I traveled to Haiti for the first time in April 2014 and came on staff later that year part time as Missions Coordinator. After a year, I transitioned to full time Programs Director. Traveling to Haiti is a source of encouragement to be as joyous and thankful as my Haitian brothers and sisters in Christ. For myself personally, serving in Haiti is constantly humbling me come to God helpless, like a child. I am so much more aware that God does not begin where my perceived control or abilities end. Serving in Haiti forces me to realize that I am not able. God is able. He is able and is always in control. I have been involved with Lifeline since the earthquake in 2010 and began traveling to Haiti in 2012. We adopted our youngest daughter from Lifeline in 2013. My heart has always bent towards the older kids who are aging out without the hope of adoption. With the help of a team of volunteers, The Oasis Project was launched in 2016 to support eligible students as they leave Lifeline. Matt and I have been married for over 18 years and have five beautiful daughters. I obtained my social work degree in May of 2017. Haiti is never an easy place for me to travel to, but God keeps sending me back, so I keep going. My wife Emily and I traveled to Haiti for the first time in April 2014. Since then, I have returned to Haiti twice to teach at the pastors conference at Bethel Church. Because of these trips, I have really connected with the pastors in Haiti and love to spend time teaching and talking with them. In September 2017, I became the One Body Project Director which has allowed me to deepen my relationships with these pastors. My husband, Matt, and I went to Lifeline for the first time in January 2013. We took over responsibilities for the newsletter later that year. I manage topics and writing and Matt covers all things technical. That same year, together with Anne Colevas, we had the privilege of seeing the Lifeline Library go from idea to reality. Since then, we oversee fundraising for the library and the Lifeline Library Facebook page. We are also managing education sponsors for Judney Joseph, who is working on his business degree from Haiti. I have been involved with Haiti Lifeline since traveling on a team in January 2011 and I have served on the Board of HLM for the past 5 years as Secretary. My wife, Susan, and I have been married for almost 20 years. We have four children, 3 boys and a girl, and have been in the process of adopting a little boy from Lifeline since 2012. I love the people we serve and those I serve along-side in this ministry. My service to the people of Haiti is in response to God's service to me. I started my involvement with Haiti Lifeline in 2002 by helping to get the Isuzu ready for shipment. My first trip to LL was January of 2004 to service the Isuzu and that trip forever changed my life. I joined the Lifeline Board in 2005. My wife Angie and I have been married for 27 years. We have four children, 3 boys and a girl. My wife and I own Kansas Vacuum Center in Wichita. I am a Grandpa to almost a 1 yr old granddaughter. My first trip to Haiti was in January 2010 and I was on the Lifeline compound when the earthquake happened. I joined the HLM Board in 2014. My wife Daneen and I have been married for 32 years. We have three grown children, boys adopted when they were 7, 9, and 11 years old. I travel to Haiti as I am able and needed. God has shown me that it’s all His work and I am invited to participate and receive rewards in heaven for being a part of what he is doing. My wife, Elaine, and I were invited to Haiti in 1998 by Nicole Dieudonne. We felt God's call to become involved in the Lifeline orphanage work. In 2004 Haiti Lifeline Ministries was formed into a 501(c)(3) charitable support organization for the orphanage. I have served on the HLM Board over these years. We have been married 47 years and have been blessed with two children, Jason and Stephanie. We also have two grandchildren, Jackson and Hayden. I started traveling to Haiti in 1985 to build churches in remote locations and was on the first team from Kansas that came to Lifeline in 2000. In 2010, I co-lead the team that put the roof on the small warehouse and was there during the earthquake. A few years later, I helped form Haiti Lifeline Ministries with John Ratzlaff. I continue to travel because God put a love in my heart for the people of Haiti. I can't do anything about it except keep going back and doing what I can. I went to Haiti for the first time, in 2011, against my will. God grabbed ahold of my heart and nearly demanded that I get involved. Sara and I started fundraising for the organization and we immediately found that “where your money is, there will your heart be also”. In Fall 2011, I was honored to be asked to join the board as Treasurer. I’ve been married since July 17, 1999 to the love of my life Sara. We’ve been blessed with 5 beautiful daughters, the 5th being adopted from Haiti. 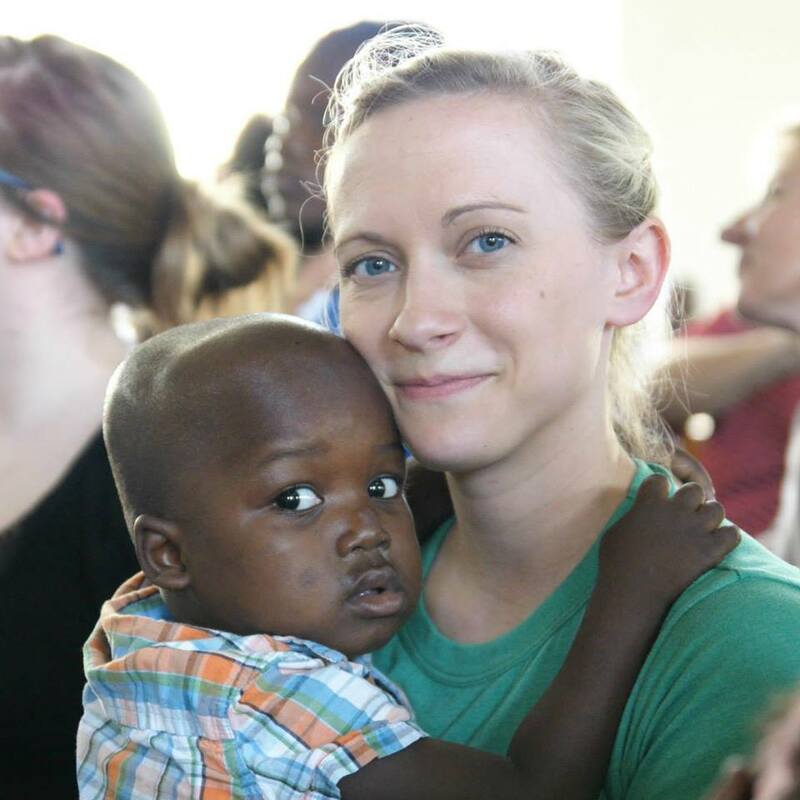 Haiti Lifeline Ministries partnered with Nicole Dieudonne & Centre Children International over fifteen years ago. This partnership has been the foundation for all of the other branches of our ministry. Because of our love for the people of Haiti and God's providence, we have expanded the work in Haiti outside the walls of Centre Children. For many years, Haiti Lifeline has struggled to continue providing education, medical care, and life experience to the children aging out of the Lifeline orphanage. This dream has finally come to fruition in The Oasis Project. Our relationship with Nicole allowed us to transition into assisting her husband, Daniel, a pastor and overseer for many Haitian churches. Now, we are working alongside local pastors across Haiti through One Body. Nicole Dieudonne is the founder and director of Centre Children International Lifeline d'Haiti located in Croix-des-Bouquets. Initially, she started feeding street children under a mango tree. Once she established the orphanage, Nicole began to take in children in need of a home. Since that time, the compound has grown from housing and feeding children to also include a community school, a guest house, a clean water well, and a community medical clinic. The Oasis Project exists to further prepare and equip the youth that have aged out of Centre Children International Lifeline d'Haiti to contribute to the continued progress and growth of Haiti. This is accomplished by focusing on spiritual development, continued education along with vocational training, independent living skills, emotional wholeness, and personal accountability. The Oasis Project is the final step in the process of preparing these young men and women to participate in and contribute to the Haitian community, giving them both roots and wings to take with them into their futures. One Body is a growing organization of believers in Haiti and America who recognize the value of partnership. We not only want to build a church building but to build up the Body of Christ in Haiti as well. The mission of the One Body Project is to build up the body of Christ in Haiti through building churches and discipling local church leaders. Through our partnership with Daniel Dieudonne who is a pastor and overseer of nearly 200 churches throughout Haiti, One Body has been able to reach outside the orphanage proper and further minister to churches and communities all over Haiti.